I still remember when I first moved into my apartment nearly 9 years ago. I’d already fallen in love with the space, but that first night, I was wondering if I could break the lease immediately. Why? The fire station located five blocks away. Sirens screaming, h0rns blaring, lights flashing – how could I ever live with that? I’ll never sleep again! Turns out, it’s fairly easy – I barely notice them now, except when I’m trying to watch a movie on TV (I’ve learned to just turn on the subtitles ’til they’ve passed). 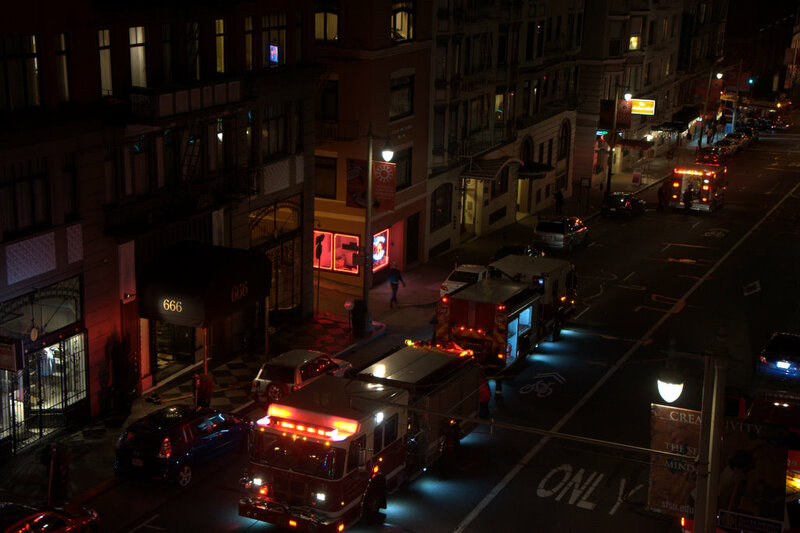 Tonight, there must’ve been either a false alarm or a small fire across the street from me in a 13-story building. At least two, maybe three stations, were on the scene in minutes, with hoses, ladders and rescue equipment at the ready. All for naught, thankfully – but every firefighter at the scene was ready to perform his or her duty. So while I’m the first to admit that fire engines screeching past feels like a nuisance, I sometimes forget what an amazing job our firefighters do. 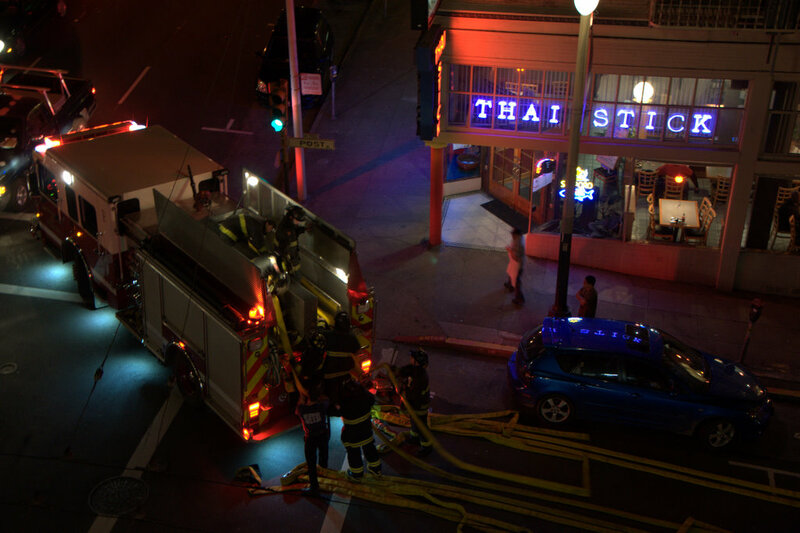 From what I understand, the lessons of the 1906 earthquake remain not only relevant over 100 years later, but are a touchstone of the SFFD’s mission – to put out fires quickly and completely. The quake claimed many lives and caused extensive damage, but it was the fires afterward that devastated the City. 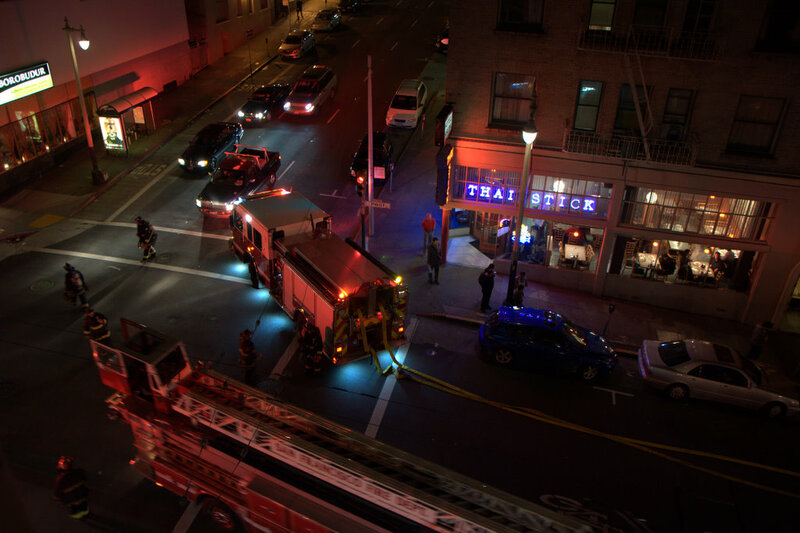 The SFFD treats every alarm with a seriousness and gravity that, while maybe a bit noisy, really provides me and my fellow citizens with a great deal of safety and comfort – and doubtless saves lives and property every day. 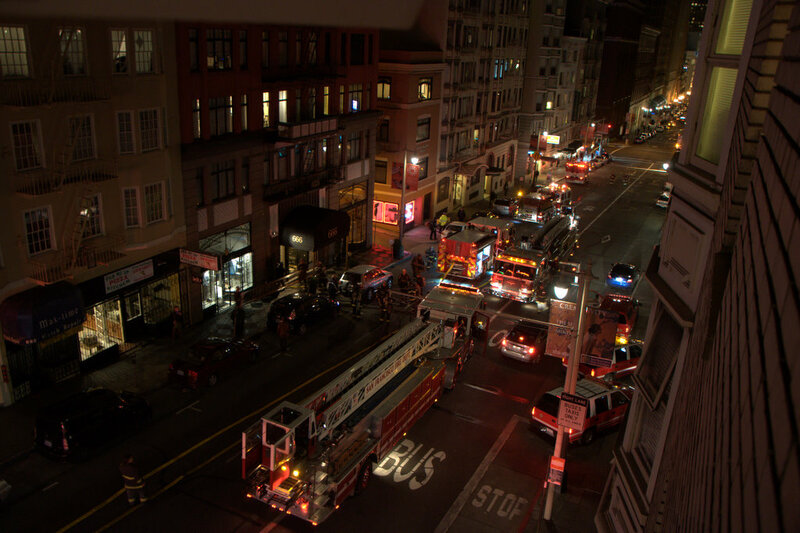 So thanks, men and women of the SFFD. The citizens of SF are proud of and grateful for your brave service. 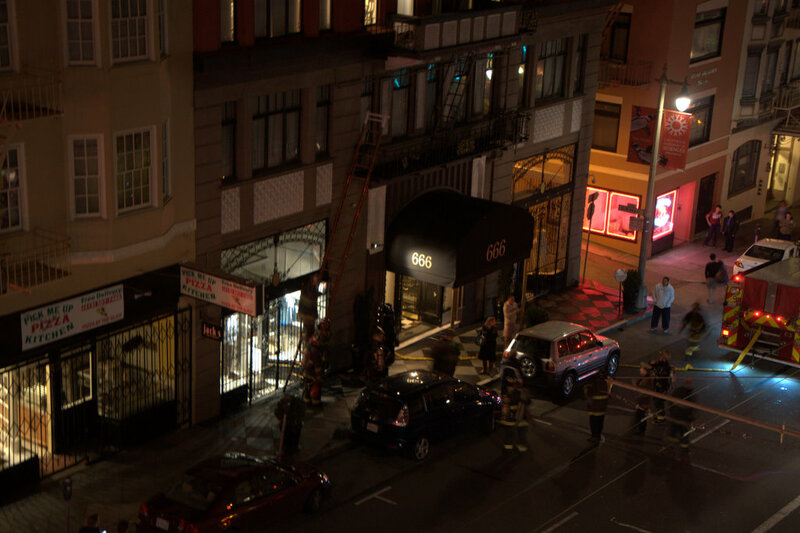 Tagged fire, sffd, thanks dudes! and also gave you some good photos.